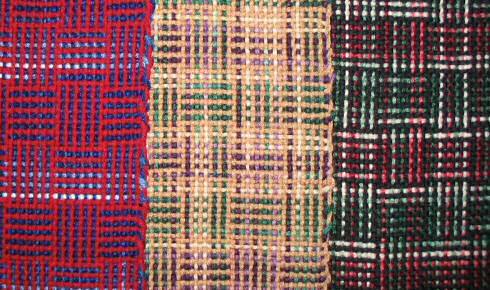 My fascination with color is what keeps me weaving. Watching color patterns and effects unfold before my eyes can keep me entertained for hours. 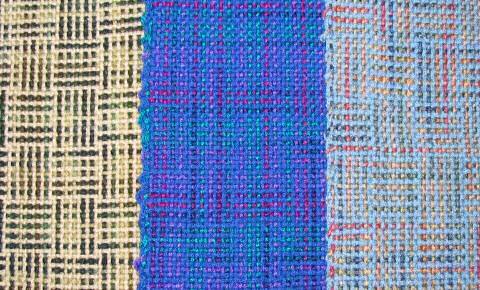 Here is what I’ve observed from using various space dyed yarns with my log cabin weaving. 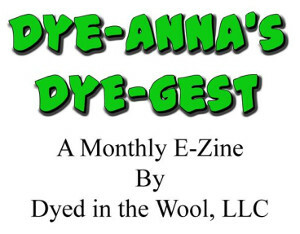 This used yarns with short intervals of changing colors. 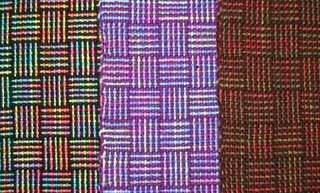 Yarns with a longer, but regular spacing of colors created horizontal stripes. To me, these are more plaid-like. The color spacing of the yarns was long but irregular. 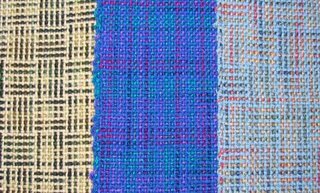 The plaid like effect is strongest in the middle scarf, where the color values of the yarn closest. Of all these samples I think I like the classic looking log cabin best. Will tuck this preference away in the back of my mind for some future painted yarn weaving project. 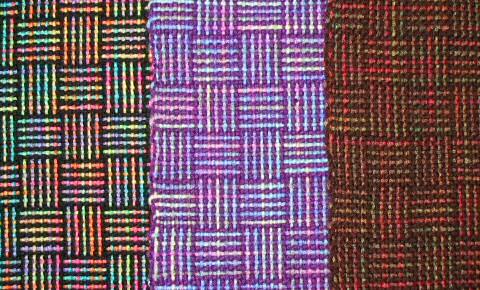 I've not done any weaving yet, it's on my list to do. Fun! 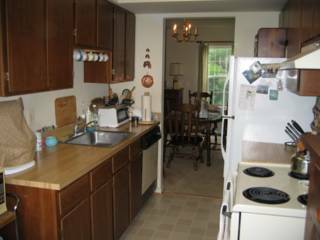 and yep, I agree with you: I like the classic looking log cabin the best. But it may be because I'm expecting it to look like log cabin, and not have the weave structure obscured by color :). 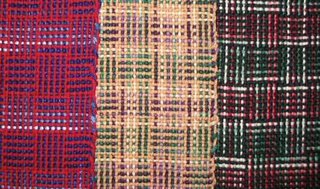 I love log cabin - it's so amazing that such a great effect can be achieved with plain weave! I agree with you too that classic is the most attractive.